For what it’s worth, we’ve been here before. Apple product is rumored, hype builds up, it’s revealed, and people are disappointed. In this case, “It’s just a big iPod Touch” is the new “No wireless. Less space than a nomad. Lame.” And, once again, it’s because the hype aimed too low. The iPad isn’t Apple’s attempt to make a tablet or netbook; it’s the first of what Apple believes is the future of computers. And, taken in that light, everything makes so much more sense. There’s the iPad, in the middle. And that, many argue, isn’t a particularly compelling place to be. They’re right, and wrong. 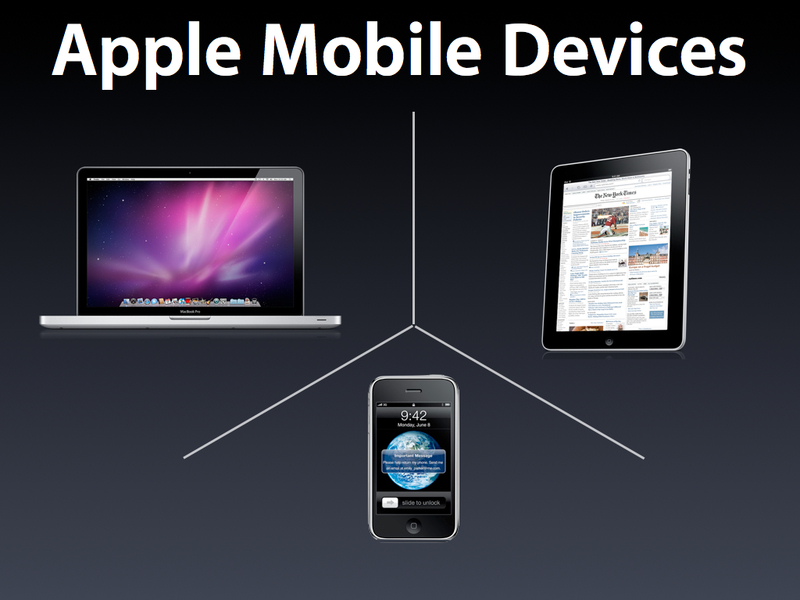 The middle *isn’t* a great place to be, but the iPad isn’t in-between an iPhone and Macbook. For a significant segment of the population, it is meant to *be* their Macbook. And, for those who need a Macbook, the iPad isn’t for them. But it will be. 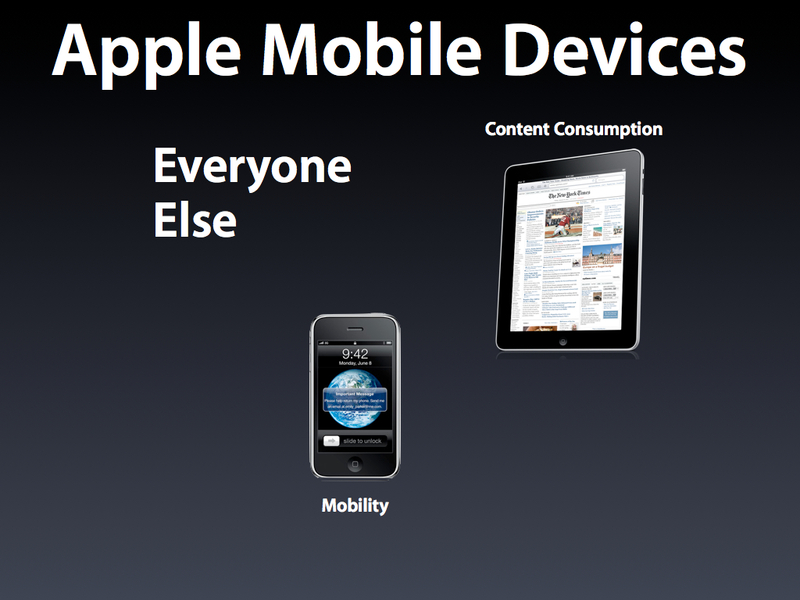 Remember the beginning of the Keynote: Jobs said that Apple is now a mobile devices company. What the iPad does is give Apple a product that offers a superior experience in every dimension of the mobile experience, namely, content creation, content consumption and mobility. The reason this matters is that the vast majority of users are primarily content consumers. These are the people buying netbooks as their primary computers, or simply avoiding computers as much as possible. They simply want to go on Facebook, check their email, watch YouTube, and at most, upload pictures. 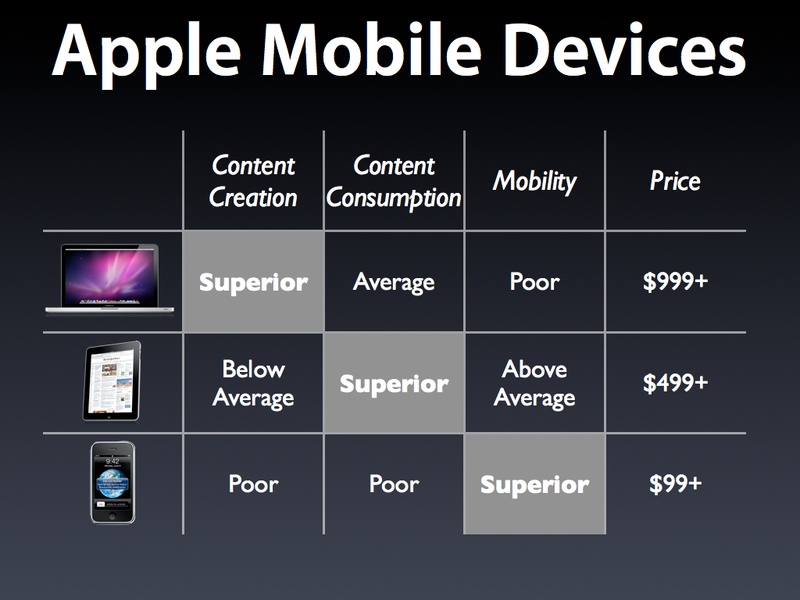 Apple’s value proposition to these customers is: The iPad is a superior content consumption experience with sufficient creation capabilities to meet your needs. That is why iWork figured so prominently into the Keynote — it was reassurance that the iPad can pass as your only computer (more on iWork in just a moment). I think that’s a pretty good market to be in. And now for the caveat: This is a 1.0 product. Just like iPhone 1.0, there are missing features both in hardware and software, and the Apple fanatics will be the de facto beta testers. So in that regard, the picture I just laid out is more applicable to the medium term. BUT It’s the long-term picture that is particularly fascinating, and gets back to my contention at the beginning of this post. For while the laptop has all but reached it’s potential — the consumption experience will never improve beyond what it is now — the creation experience on the iPad will only get better with time. In fact, I believe the iPad will be looked back upon as the pioneer of what will become the default way of interacting with computers just like the Macintosh. 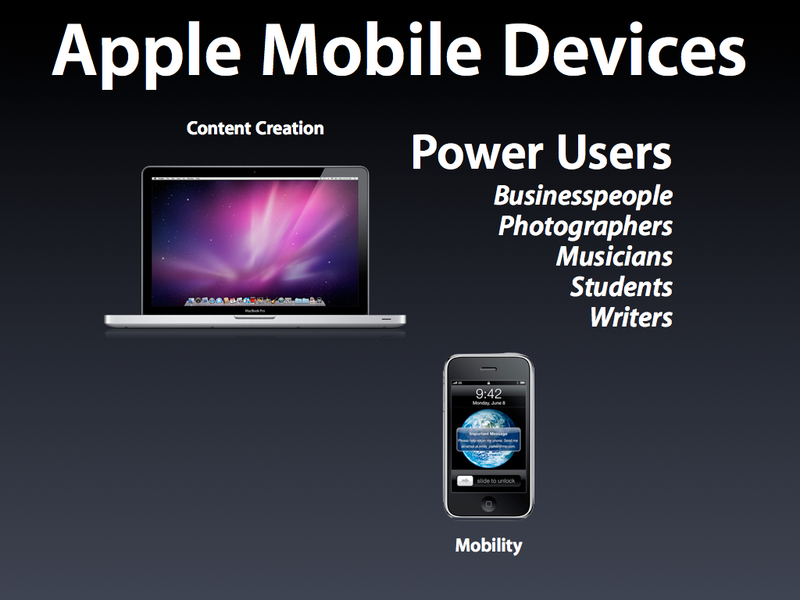 Go back and watch the Keynote again, especially the iWork demonstration that begins 57 minutes in. The iPad doesn’t just let you create documents. It lets you create documents in a way that is simply impossible on a normal computer. It is so much more natural, so much more intuitive, that users accustomed to a keyboard-and-mouse will adapt quickly, and more importantly, users accustomed to multitouch will never understand the attachment to a mouse. I truly believe my two year-old daughter, who has already taught herself to use my iPhone, will never seriously use a mouse. To flip John Gruber’s famous headline on its head, the mouse will be the new command line, beloved by geeks and graybeards, and puzzled at by everyone else.